MIDLAND, Mich. - Just a few years before the Great Lakes Loons were born in 2007, the Spirit came to Saginaw in 2002. There was the instant connection that both franchises provide professional sports and family entertainment to the region throughout the entire year. Many Loons fans also frequent The Dow Event Center during the hockey season to see the NHL's stars of tomorrow. In 2019, the teams will become more closely tied than they ever have before. 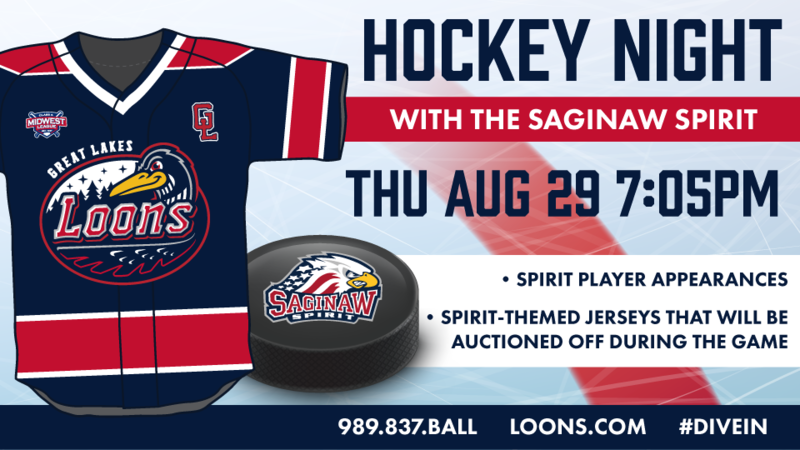 For the penultimate home game of the regular season on Thursday, August 29, the Loons will host Hockey Night with the Saginaw Spirit. "The Loons are excited to expand our relationship with a terrific community partner in the Saginaw Spirit," Chief Revenue Officer Chris Mundhenk said. 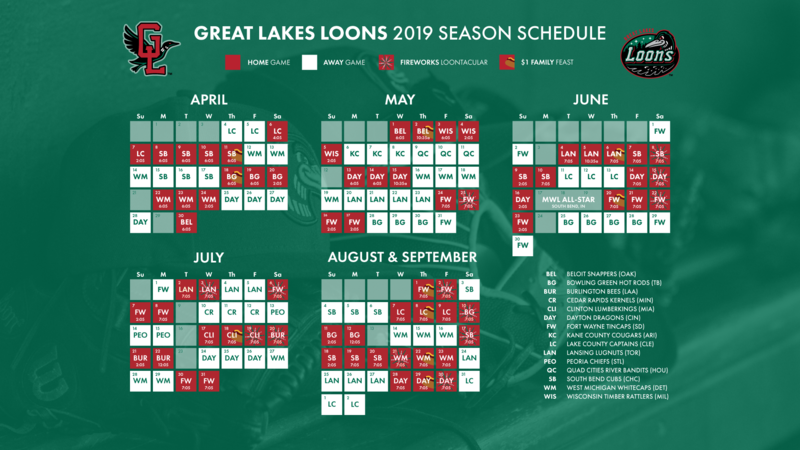 "Our organizations have been aligned with our efforts since the Loons came to the region over a decade ago and look forward to launching fresh, new initiatives for both our fan bases to enjoy." With the season winding down for the Los Angeles Dodgers prospects, the 2019-20 Spirit roster will just be arriving in Saginaw to prepare for the upcoming season. As in past years, many of the players will be at the game that night to interact with fans, sign autographs, throw out first pitches and participate in on-field promotions. But, the Loons will be taking it one step further by donning brand new, one-of-a-kind jerseys that have the look and color scheme of a Spirit hockey sweater, but featuring the Loons logo on the front. Those jerseys will then also be auctioned off during the game. Fans can expect the ballpark to feel a little more like an arena that night, just without the ice.